With the American market ever-more popular, BSA’s A65 responded well to its street scrambler makeover. By the mid-1960s most of the major manufacturers’ ranges were heavily influenced by what the lucrative American market wanted – and what it wanted was street scramblers. Triumph had the T100C, TR6C and T120C; Norton the P11; Honda the CL77 – everyone was trying to cash in on the rising popularity of flat-track and motocross racing. If something looks right, it generally is right. Most had figured out that few riders would actually take their bikes on the dirt, and so simply dressed their existing road models in off-road clothes. Purists protested I’m sure, but if your customer wants to look and feel a little like his or her off-road riding heroes on the journey to and from the track, who’s to say they shouldn’t be allowed their little flight of fantasy? It was with some puzzlement then that BSA’s first rough, tough street/dirt offerings, the 500cc A50 Wasp and 650cc A65 Hornet, were offered without lights or charging systems – arguably a touch too road biased for the trails but without the provision needed for the town or city, they existed in a strange ‘green belt’ between the two. The path towards the Wasp and Hornet was a fairly logical one. 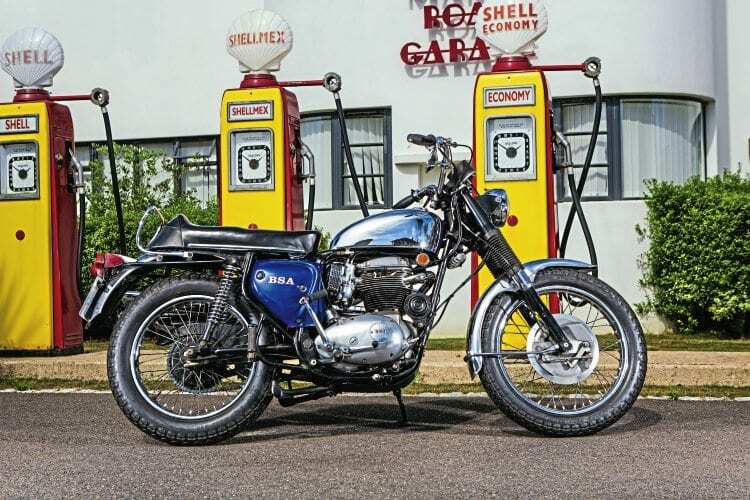 The A10 and smaller A7 pre-unit platforms had proved such a success for BSA, my guess is many on the board were loath to have to drop them, but the buyer was calling out for something more modern, streamlined and cleaner, and so the unit-construction A50 and A65 Star Twins were born. The basic internal design of the 500 and 650cc engines differed little to their predecessors. They had the same 360-degree one-piece crank with alloy conrods, a single gear-driven cam behind the cylinder block on the right-hand side, a primary chain and clutch on the left, and the same basic gearbox, it was just all tucked inside a new set of alloy casings, the shape of which would lead to the rather strange moniker ‘power egg’.